Just How Difficult is Nursing School Really Going to Be? 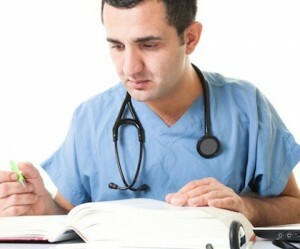 FNUNewsJust How Difficult is Nursing School Really Going to Be? No one has ever said that nursing school is easy. Becoming responsible for the lives of others requires intensive study in order to prepare you for one of the most fulfilling and noble professions you can choose – a profession of service to others, in which dedication, exactitude, and passion are the prerequisites for success. Helping people on a daily basis by providing care to those who need you allows you to make an enormous difference in people’s lives. Achieving a nursing degree allows you to choose the specialty that suits you best while providing you an opportunity to accrue greater knowledge as you advance in the field. Furthermore, completing a nursing degree gives you the requisite training to succeed in a professional field of broad opportunities and a secure future. An Associate of Science Nursing Program prepares you to become a licensed registered nurse and to obtain entry-level positions where you can care for patients in a wide range of settings. Because of the constant need for highly trained professionals in the healthcare sector, there are numerous job opportunities that can lead to management and leadership positions if you decide to move up the exciting career ladder that nursing offers. When it comes to job security, once you become a licensed nurse, there are always positions to be filled, especially due to our growing and aging population. Florida National University (FNU) offers a nursing education program that supplies you with the appropriate knowledge and skills for receiving your nursing license. Through our in-depth nursing curriculum, you will gain the tools you need for expanding and deepening your expertise as you approach graduation and the moment when you enter the field as a full-fledged professional. Most students realize immediately that a nursing school course load is intense. At Florida National University, our students find that it is where one puts the focus that determines one’s perspective, and most would call the program “challenging” – in other words, a call to rise to the occasion. The power to rise to the occasion is achieved when students keep their intention on the result. To do so, it is important to consistently reconnect to the original passion that initially brought you into the program. There are many reasons to come to the nursing profession: to help others, to contribute to one’s community, to interact daily with a range of people and make their days brighter, to secure your future by entering a career path with great earning potential and countless job openings. Top nurses and educators alike say that keeping in mind one’s motivations and reminding oneself of the end-game benefits are what can make every bit of work and effort worth it. In addition, if you do encounter challenging times during your nursing education, it is useful to keep in mind that learning is a process. Each day brings the opportunity to further utilize what you have learned – and concentrating on your day-by-day achievements helps to soften the more intense moments that come as a natural part of the learning process. Nursing school asks that you acknowledge your achievements along the way. Maintaining a positive attitude, even when it comes to the small victories, is a way to keep the excitement high as you work your way towards this rewarding field. Finding the balance between your life in the FNU nursing program and your home life is also essential. 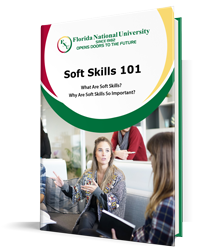 With all of the specific issues that can pop up and the various ongoing threads of your personal and professional life – such as holding down a job, dealing with family issues, and the like – it is important to keep your center as you maintain the demands of your educational workload along with your other responsibilities. Often students choose to study at our online division, whereby they can obtain their degree according to their own timeline. Getting your nursing degree often means that certain sacrifices must be made. Perhaps this means cutting down on some of the activities in your social life. However, by keeping your professional, financial, and/or educational goal in mind and knowing that the degree takes only a limited amount of time, this does not have to be a hardship. Keeping your reasons for becoming a nurse at the forefront of your mind will help you get through the sacrifices and occasional hardships that may come up. Creating a new habit is always a challenge. Entering a nursing program may look daunting at first, but once you get into the swing of your courses and inspiring interchanges with your professors and peers, you will find that each day brings its own reward. Because nursing is such a competitive field where so much information is needed in order to take charge of another person’s life with no mistakes, every aspect of your education is crucial. When you look at it from this point of view, it is much easier to understand that the rigors inherent in the educational process are essential for the kind of preparation and execution required of a demanding yet thoroughly rewarding career. As with anything challenging, it is important to provide encouragement and affirmation to yourself and to ask for this from those who surround you. The semesters will go quickly when you engage in your courses with the same passion that brought you to your decision to pursue a nursing career. Finding a balance through participating in creative channels that have nothing to do with your studies can be extremely beneficial, helping you to release any anxiety and frustration that comes with your studies. Dancing, singing, going to the gym, or yoga can help you release excess or negative energy so you can maintain a clearer focus when you are in the classroom. Watching how your emotions affect your study habits is another way to help guide your success in accomplishing your goal. When you can observe where your shortcomings are, you also gain a perspective that helps you overcome them. Nursing is a rewarding and challenging field with great earning potential and secure career opportunities. If you are considering nursing, contact our advisors today to help design your roadmap to success – an exciting and lucrative career is on the horizon! Call us at to get started.